5 How Much Does an Affiliate Kit Cost? 6 Is Cerule a Good Opportunity or a Big Scam? Cerule is a family owned business operating for 15 years in the nutrition niche. It is a multi level marketing company and it is currently run by CEO: Greg Newman. Is Cerule a legit business? Disclaimer: I am not in any way affiliated with Cerule. All the information included in this review is a result of my research about the company trying to come with a conclusion about is it is worth the investment. 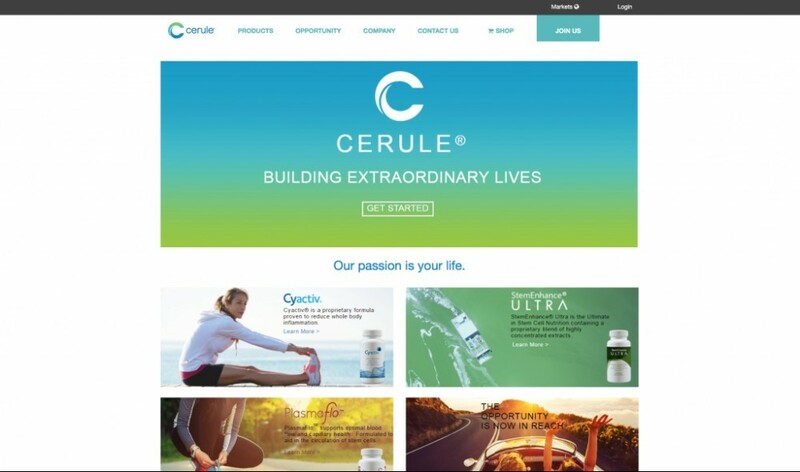 Cerule is a family owned business operating for 15 years in the nutrition niche. It is a multi level marketing company and it is currently run by CEO: Greg Newman. Cerule claims that it is a raw material manifacturer. If this is true it means that everything is prodiced in house. It’s poroducts are in the health and nutrition niche. It’s compensation plan is mostly focused on recruiting affiliates. When you sign up to their affiliate program you buy an affiliate kit, and you are going to be compensated according to the number of people who you recruit and buy an affiliate kit. So you are required to pay in order to join the affiliate program. In fact, I am so against having to pay just to join an affiliate program. I mean, why would you have to pay to start promoting something when there are a lot of free to join affiliate programs? I wouldn’t. If the product is good you will get sales and the company should be interested in more promotions of the actual products, not collecting the money of people who want to start promoting their product. How Much Does an Affiliate Kit Cost? There are four types of affiliate kits and they cost from $69 to $3,000. And as affiliate you can get paid up to $9,000 when you sell a $3,000 affiliate kit. So as an affiliate your compensation also varies from the type of affiliate kit you are selling. Is Cerule a Good Opportunity or a Big Scam? I wouldn’t say that Cerule is a scam, this is because they are being transparent and they are not trying to deceive you in any way, which I would call a scam. But on the same time I wouldn’t consider it a good business opportunity. The product of Cerule seem ok, and the health niche is a very profitable one at the moment, however, the problem with Cerule lies in the fact they never mention the compensation affiliates would receive for promoting their actual products. All their affiliate program is mostly focused on recruiting other affiliates. No, I wouldn’t get involved with Cerule. Previous Previous post: How Much Can You Make with Google Adsense per 1000 Visitors? Next Next post: Is Seven Figure Formula a Scam?